University Commons consists of three residence halls with modified Georgian exteriors and interiors reflective of the natural elements on the Oklahoma State University campus and the surrounding Stillwater, OK, landscape. 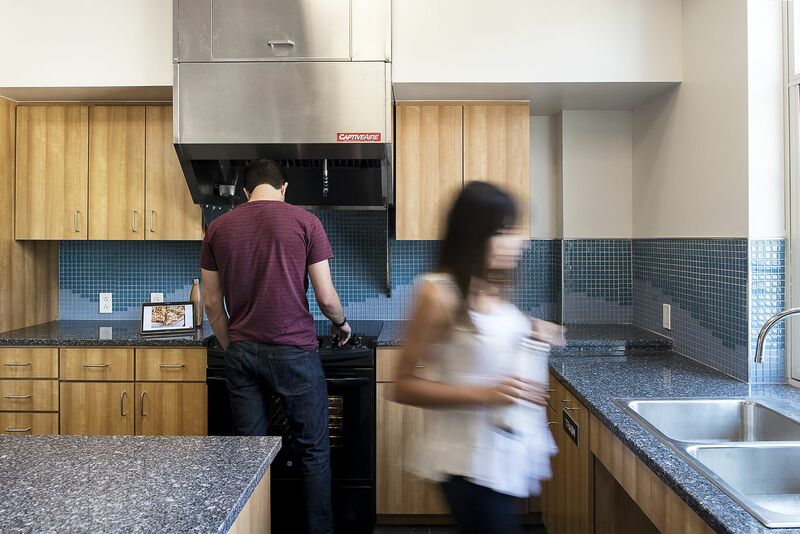 Together the buildings enable OSU to house 964 residents in a modified traditional layout while improving student life for the entire community. 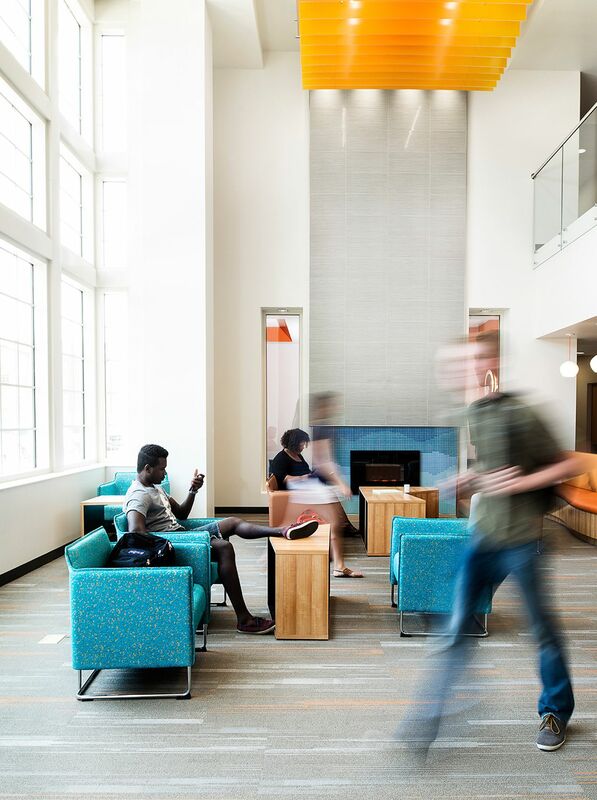 Rooms are primarily double rooms with a community bath, and each residence hall features a two-story main lobby and lounge with fireplace, community kitchen and community laundry to promote student interaction. 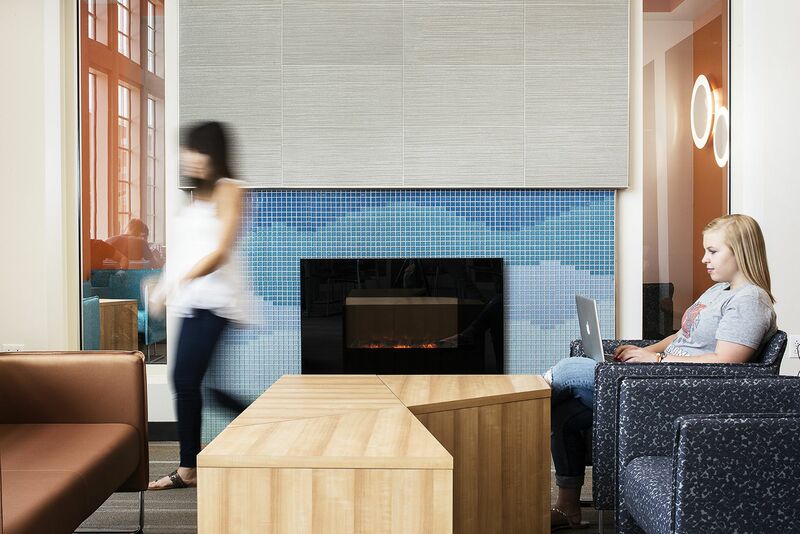 The design team incorporated features to create interaction between students and social opportunities but also address students need for spaces to have private conversations and study sessions. 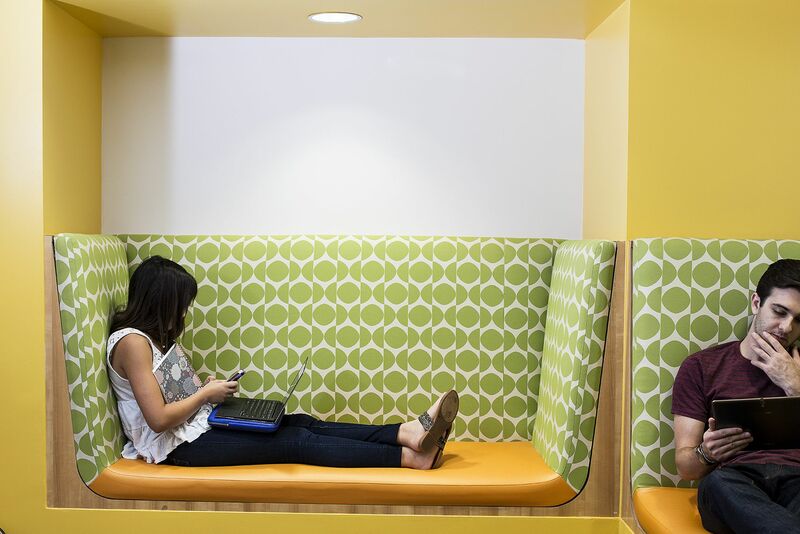 Each floor of the residence halls has private nooks, pods and window benches offering additional living space and privacy. 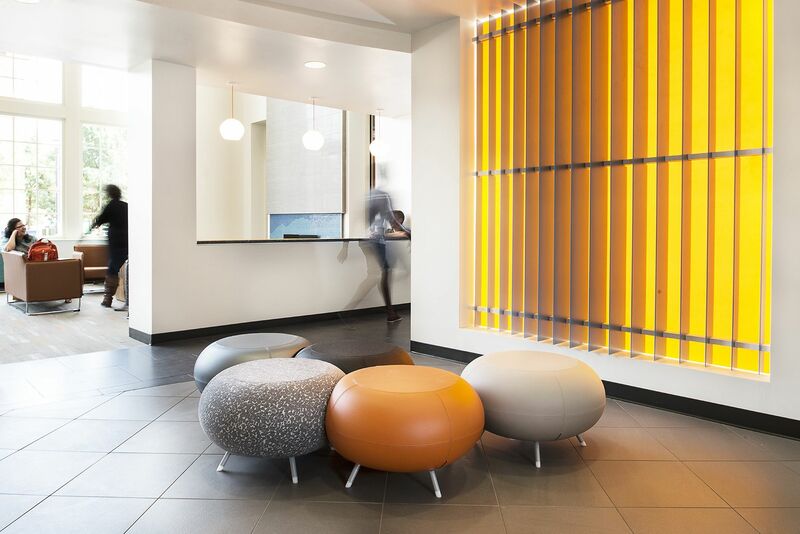 Additional features and amenities include water bottle filling stations, wireless and Ethernet connections, front desk and mail operation areas, and cable TV in each room. 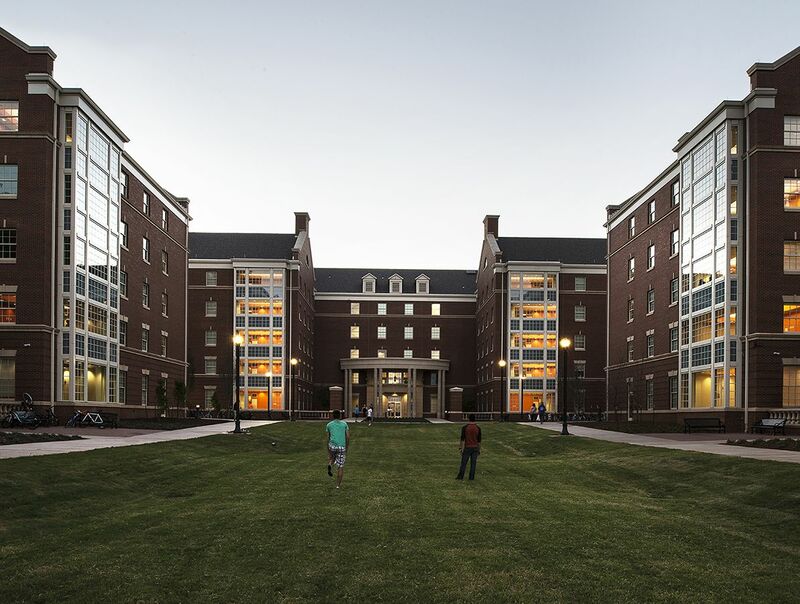 A grand pedestrian quad provides students with outdoor space for socializing and recreation. 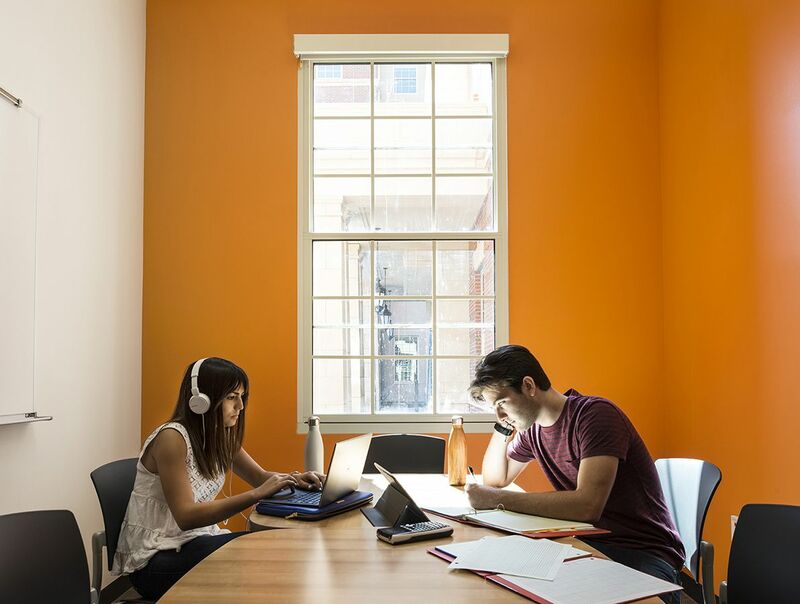 “The newest campus housing option at Oklahoma State University is a blend of old school and modern that was designed to strike the perfect balance between privacy and community,” the article begins.